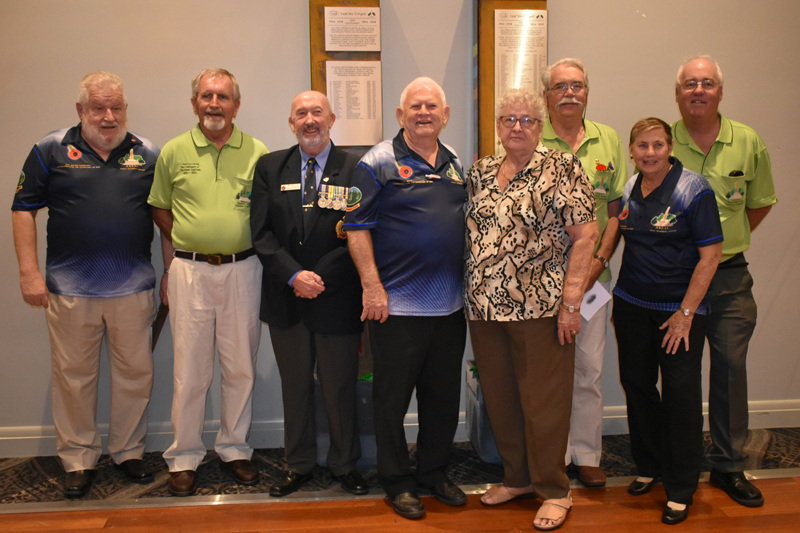 The North Pine Historical Society Inc completed the AMACC 100 Tree Project with a dedication ceremony held at Norths Leagues and Services on Monday 23rd April 2018, followed by the planting of the Name Plaques at the 6 locations along Anzac Avenue in time for Anzac Day 2018. This event signifies 100 Trees for 100 Servicemen in the 100th year of ANZAC. The day was a great success and well attended. 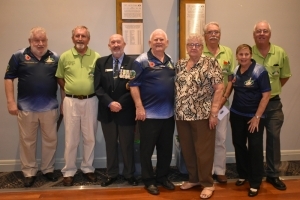 The photo above is of some of the members of the former AMACC Group responsible for initially implementing the project, from left to right Darryl Neild (Naval Association), David Dwyer (Former Div 7 Councillor), Gus Dundas (Naval Association), Brent Ledez (RAAFA Pine Rivers and Sandgate), Judy Dohle (North Pine Historical Society), John Cootes (North Pine Historical Society), Judy Kranen (RSL Sub Branch), Tony Watson (North Pine Historical Society). See full pictorial under Gallery. In 1994/5 before amalgamation was even thought of Petrie Historical Society was formed by a group of local people coming together under the guidance of Patron David Dwyer and the Pine Rivers Shire Council Strathpine Local Studies Librarian, to record the history of the area and its’ people with stories and photographs. This information was and is today kept at the Strathpine Library. In March 2006 under the guidance of Leith Barter the then Local Studies Librarian. He encouraged the society to become Incorporated, take control of our own destiny and expand to take in a wider area of the Pine Rivers area. North Pine Historical Society Inc became our new identity. We have flourished under our new banner, still collecting stories and photo’s, doing our own research and projects, obtaining grants to enhance the history of the Shire. Items such as maps, books photographs, etc pertaining to the Pine Rivers District may be donated to the Society and would be greatly appreciated.